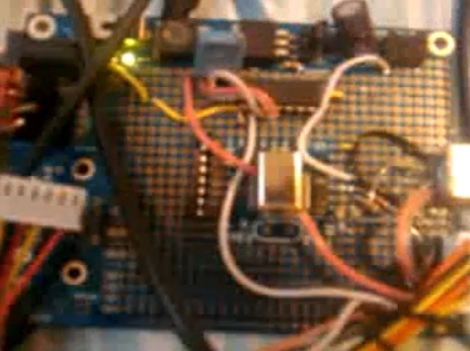 If you are an Atmel fan, you may enjoy this webserver built around the ATmega88. Since it has full TCP and HTTP support, communication can be done using a standard web browser on any system. 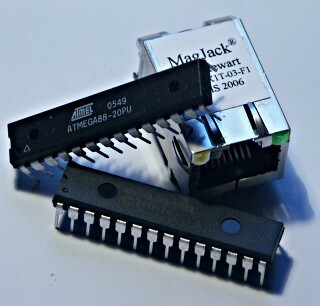 We also noticed that the code uses AVR Libc and the processor can be replaced with an ATmega168, both used on the Arduino platform. Honestly, we think the most interesting part about this project is the firmware. The author has assumed that the webserver will only be sending one packet per request and the code is optimized for this setup. This leaves around 50% of the memory for the web application.